Indonesia’s coffee world is experiencing the highest peak this year. The bustle of the coffee industry has an impact on the growing recognition of the coffee-making profession called Barista. Indonesia Coffee Event 2018 (ICE 2018) is organized by Barista Guild Competition (BGI) section of the Specialty Coffee Association of Indonesia (SCAI). This seventh annual national competition has the initial goal of finding the best Barista in Indonesia and then sending it as a delegate representing Indonesia in the world coffee competition. There are four types of competitions that will be contested: Indonesia Barista Championship (IBC), Indonesia Brewers Championship (IBrC), Indonesia Latte Art Championship (ILAC) and Indonesia Cup Tasters Championship (ICTC). The final event of the IBC branch held simultaneously with the exhibition of Food, Hotel and Tourism Bali 2018 from 1 – 3 March 2018 at Bali Nusa Dua Convention Center (BNDCC). The winner, Muhammad Aga will be dispatched to compete to the World Barista Championship (WBC) in Amsterdam. IBrC, ICTC and ILAC branches will be held simultaneously with the exhibition of Hotelex & Expo Finefood 2018 from 18 – 20 July 2018 at Jakarta International Expo (JIEXPO). 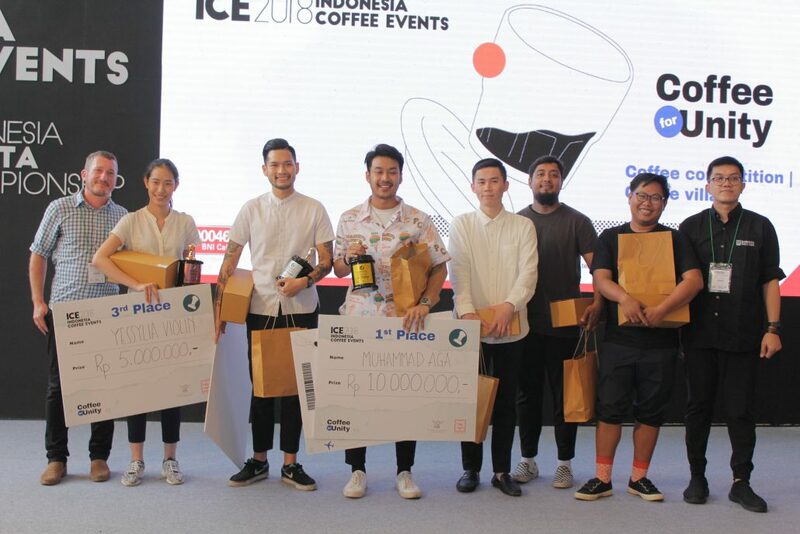 The winner of Indonesia Brewers Championship (IBrC) will be dispatched to the World Brewers Cup Championship (WBrC) and the Indonesian Cup Tasters Championship (ICTC) winner will be dispatched to the World Cup Tasters Championship (WCTC) championship both events will be held in Dubai. The winner of Indonesia Latte Art Championship (ILAC) will be dispatched to the World Latte Art Championship (WLAC) championship in Brazil.